Equitativa, the largest real estate investment trust (REIT) manager in the Gulf region, has signed an agreement with Hong Kong-based Affluent Partners Holdings to launch a new REIT that will invest in property assets along the new Eurasia trade corridor of China’s Belt & Road Initiative. Equitativa, also the manager of Emirates REIT, said the agreement aims to create favourable investment opportunities for shareholders in these emerging markets, by setting up one or more REITs along the Eurasia countries. A leading Hong Kong group, Affluent Partners is mainly engaged in operating strategic investments and financial services with a large network in China and across Asia. An official signing ceremony was held at Equitativa’s offices in Dubai to mark the launch of the “Belt & Road REIT” initiative. The Affluent Partners Holdings Limited’s team flew to the UAE specially to celebrate this new collaboration. As part of the deal, it will function as an advisor and will work closely with Equitativa which will be setting up the new REITs, said the statement from Equitativa. The company will also be facilitating the implementation of the REITs, referring clients for investment and identifying assets to seed the REITs. Equitativa or its affiliates will be appointed as REIT manager and be responsible for establishing and managing the REITs, it added. 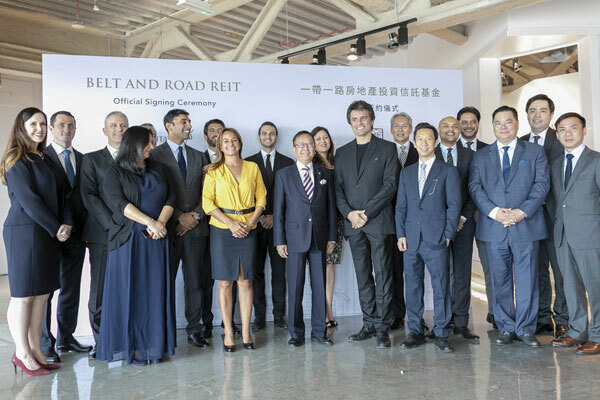 Sylvain Vieujot, the group chairman of Equitativa, said: "The establishment of the ‘Belt & Road’ REIT and the collaboration with Affluent Partners is very exciting for us and marks a new chapter for Equitativa in Asia and emerging markets." "Working with Affluent Partners will increase our fund raising capabilities in Asia and gives us the opportunity to identify more assets that can maximise the value for our shareholders," he added. Stephen Yuen, the chairman of Affluent Partners ssaid: "We are delighted to be working with such an experienced REIT Manager on the Belt and Road REIT initiative."